13.6 x 8.9 x 18.1 in. This Lincoln Electric LE31MP. 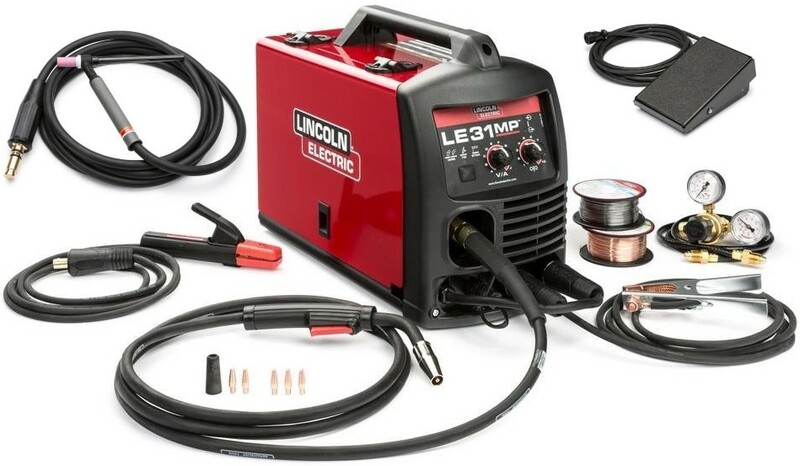 lightweight and portable welder connects to 120 volt power and is an excellent choice for MIG, STICK, Spool Gun, Flux-Cored, or TIG welding. The intuitive user interface, easy setup, and full list of accessories permits welding in no-time. 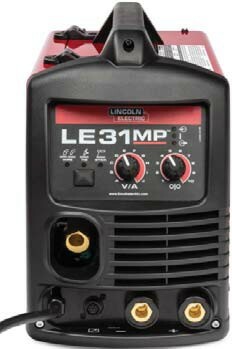 Wide 30-140 amp welding output for MIG, FCAW and Spool Gun allows for welding on 24 to 5/16 material. Durable cast aluminum gear box delivers added torque and quiet operation, and brass-to-brass gun connection enhances conductivity. Smooth arc starts and a forgiving arc makes dialing in your application easy. The wide 10-120 amp range permits welding on thin and thick steel and stainless. 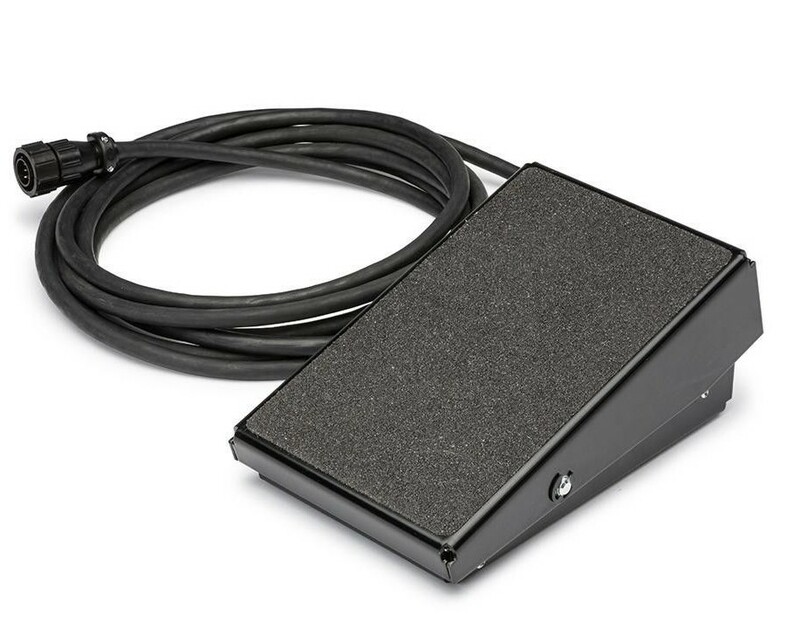 Weld with or without a foot pedal,the machine will automatically detect and configure when a foot pedal is connected. Easy arc starts and optional patent pending TIG torch assembly eliminate the need for a manually controlled gas valve. Smooth arc starts prevent sticking. Heavy duty electrode holder and cable included. Magnum PRO 100L gun and 10 ft. (3.0 m) cable assembly with brass connection and 8-pin trigger connector (K530-7). Harris 3000290 Gas Regulator (S25805) and 52 in. (1.3 m) hose (S19303) for use with Ar/CO2 blend gases. For use with CO2 shielding gas, order a Lincoln Electric S19298 CO2 shielding gas bottle adapter. 1. Brass-to-brass gun connection enhances conductivity. 2. 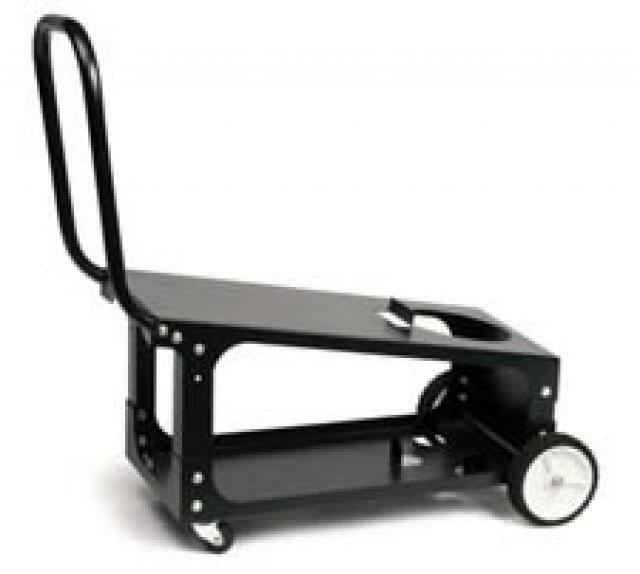 Rigid drive aids wire alignment. 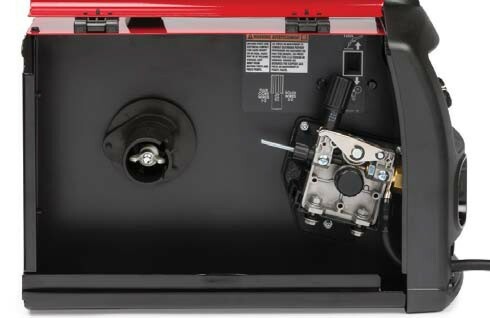 The cast aluminum body with an enclosed multi-stage gear box delivers improved torque and quiet operation. 3. Easy-turn drive tension adjustment with numeric tension indicators. 4. Fast tool-less drive roll changeovers. 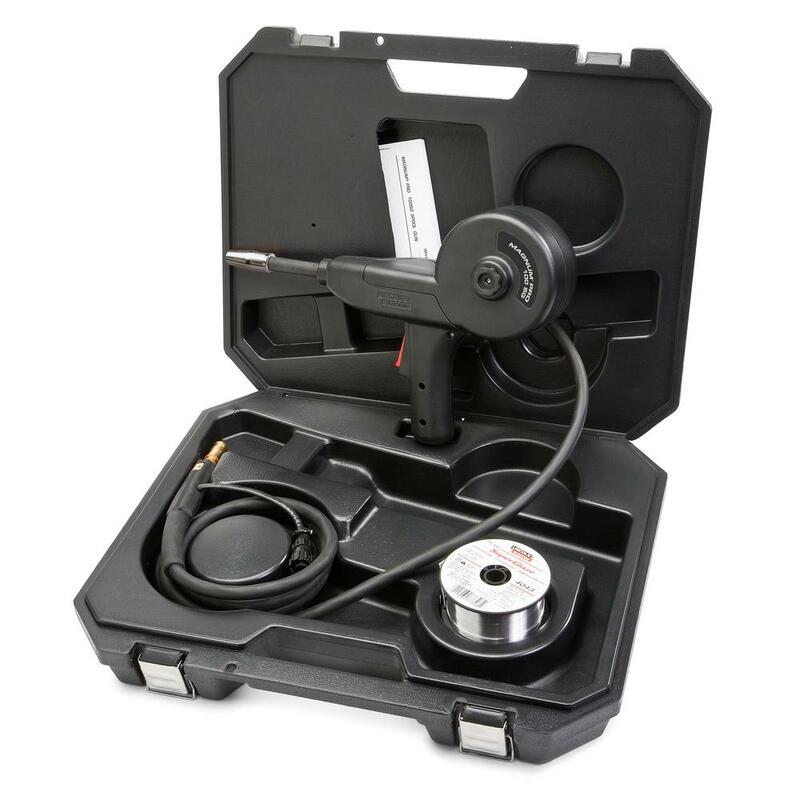 The dual track drive roll ensures positive flux-cored wire feeding with common wire diameters. 5. Spool gun ready switch allows user to select spool gun or standard push gun drive operation. 6. Oversized twist connectors for durability.